Volunteer to Read with Echelon Grand Rapids! 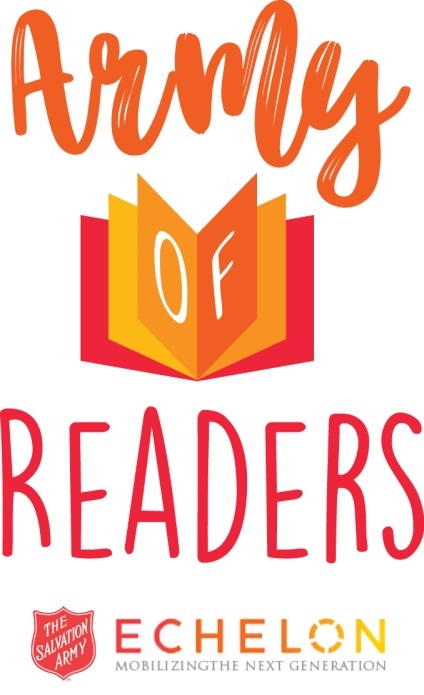 Please join Echelon for our fifth annual Army of Readers event to celebrate reading in area schools. On Friday, March 23rd Echelon is inviting over 70 young professional and college student volunteers to visit classrooms around Grand Rapids for a fun-filled reading activity. March is National Reading Month; celebrate with us by encouraging reading in local schools! Volunteers will meet for an orientation in the morning, where they will have an opportunity to practice reading their assigned book, and will be taught how to administer a classroom activity related to their book. Volunteers will then transport themselves to their assigned school and read to a classroom with a volunteer partner. Volunteers will then help administer a classroom activity. Overall, we are hoping to spread the joy of reading to over 1,000 children in Grand Rapids area schools. If you have any questions, please contact Lauren Hagerman Tekelly, Echelon Service Chair at EchelonGR @usc.salvationarmy.org, or call 616.459.3433.